New Super Magic Eraser script is available! – Cuts linear and radial gradient correctly. 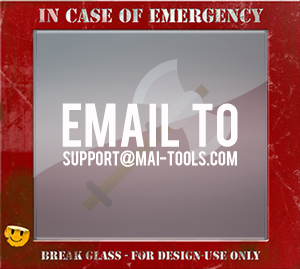 – Works with active Artboard and ignores locked objects. You can create vector file with several Artboards and make cropping on each one. – Has new stable algorithm to prevent freezing your computer with big vector files. – Fully automatic process and user friendly interface. 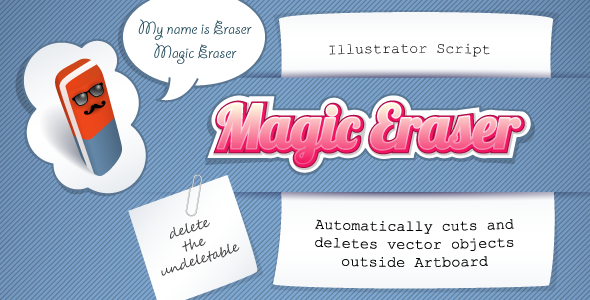 Magic Eraser is a script for Adobe Illustrator which automatically cuts and deletes vector objects outside Artboard. Don’t know how to crop an image in illustrator? Use the best illustrator crop tool Magic Eraser script! Quickly and easily delete paths and shapes outside Artboard, while not affecting your picture inside artboard. Keeps vector images editable after usage with accurate and clean results. See this video to know how it works. 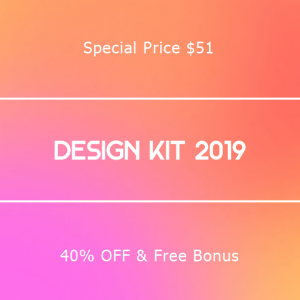 Magic Eraser script is perfect for cropping seamless patterns and vector images for microstocks and preparing for printing. Useful for deleting graphic garbage on margins. Fully automatic process. No need to know anything. 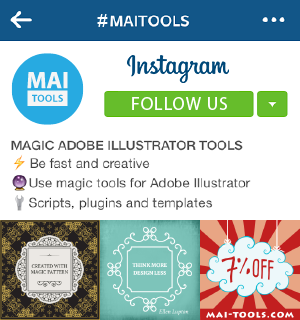 Save yourself time and stress with new illustrator crop tool. Just run Magic Eraser tool and enjoy. You can buy Magic Eraser script for only $ 5 right now! Do you like Magic Eraser script? Please, leave a feedback here or share!